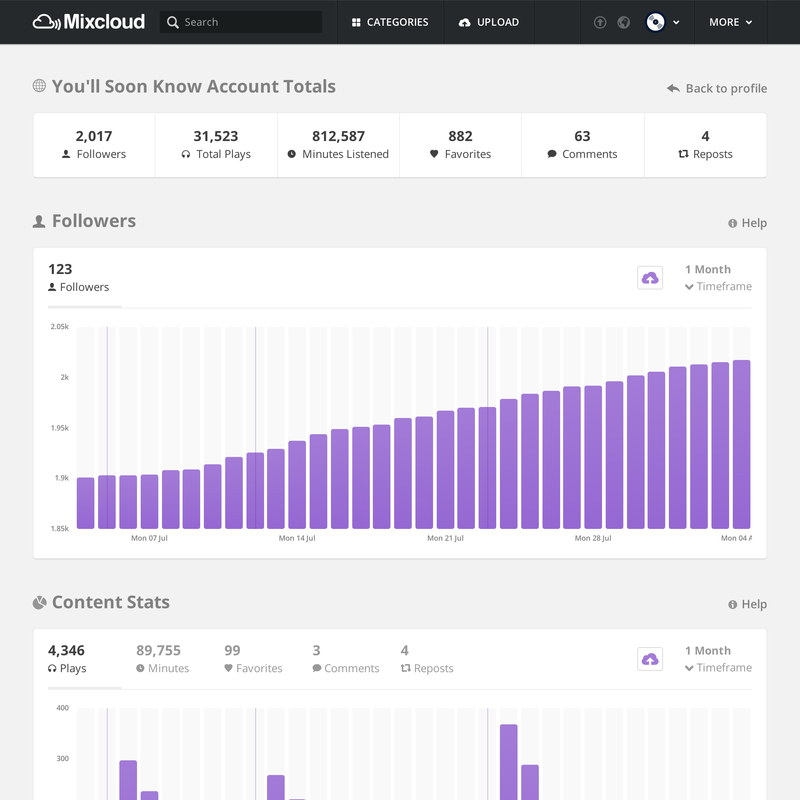 Introducing Mixcloud PRO accounts – The global community for audio culture. We’re happy to announce a brand new subscription package, welcome to Mixcloud PRO. Upgrading to the new PRO account will give DJs and radio presenters access to a sophisticated analytics dashboard showing a breakdown of their audience size, source and location. Advanced publishing tools unlocked include comment control and scheduled uploads, whilst the new “engagement graphs” reveal to content creators for the first time where their listeners are dropping off. Sign up to Mixcloud PRO HERE.